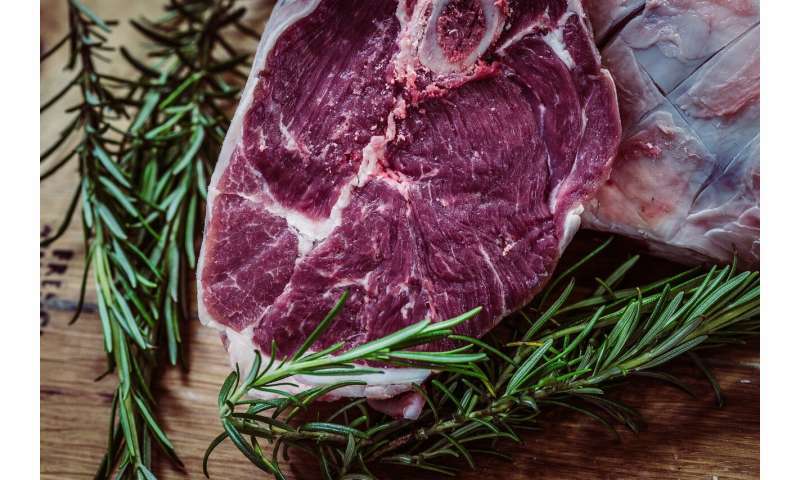 These are some of the top tips from Murdoch University Lecturer in Animal Production and Science Dr. Liselotte Pannier for cooking the perfect steak this summer. Let's start with choosing your steak. Liselotte says if there's one trait you can look for when shopping, it's a bit of marbling. Marbling is the white flecks of fat within the meat. "But of course different consumers prefer different levels of marbling, and this comes down to that personal preference," she says. But don't worry too much about the colour of the meat. Liselotte says that, while many consumers look for that bright red cherry colour to their meat, colour generally doesn't affect how good a steak is to eat. "Even discounted slightly brown meat is OK," she says. This creates the 'meaty' taste and also browns the steak. The Maillard reaction only occurs at high temperatures though—so it's important to make sure your barbecue is hot before you start cooking. Liselotte recommends using technology, such as Meat and Livestock Australia's SteakMate app to perfect the timing and cooking of your steak. The app allows you to select the cut of meat you're cooking, how thick it is, how you like your meat and whether you're cooking it on a barbecue, electric hotplate or gas stove. If you're feeding a crowd on Australia Day, the app also allows you to queue your steak orders for cooking one after another. Drop a casual mention of the Maillard reaction, and you'll look like a grilling pro.